Ruckus Wireless was originally founded in 2002 to develop equipment that would use Wi-Fi to run entertainment-quality video simultaneously to all the TVs and computers in a home. The technology the founders developed did exactly what they set out to do, but due to market trends and opportunities at the time, the company chose to shift away from home video towards service providers and enterprises. 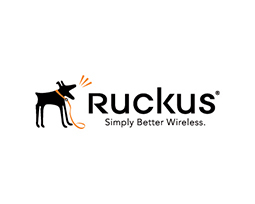 In 2014 Picopoint became partner in the Ruckus Wireless Big Dogs Partner program. Case Delivery of high quality branded guest access, marketing analytics and interaction via all Ruckus wireless equipment. Objective Enabling the Gatekeeper Wireless platform to run on all Ruckus wireless equipement. Result Today all Ruckus hardware can be provided with software that supports the Gatekeeper management portal.